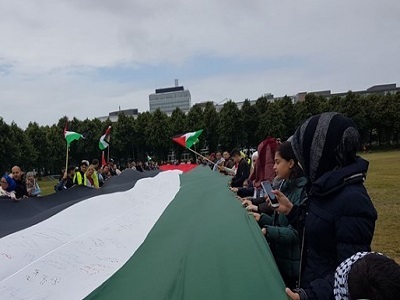 An organization in the Netherlands has raised the world’s largest Palestinian flag in Europe, according to a statement released by the group on Wednesday. The organization, called KOFIA, said in a statement that the flag is 100 meters long and five meters wide. The group added that this was considered to be the first event of its kind in Europe. The move came less than a week after the Dutch government expressed outrage over Israeli authorities seizing dozens of Dutch-funded solar panels from a remote occupied West Bank village. Israeli forces confiscated the solar panels in the isolated village of Jubbet al-Dhib east of Bethlehem that were installed last year, under the pretext that they were built without the nearly impossible to obtain permits required by Israel to develop in Area C — the 61 percent of the West Bank under full Israeli military control. The Netherlands, while providing development support to the Palestinian territory, does not recognize the state of Palestine and has expressed its rejection to the idea. 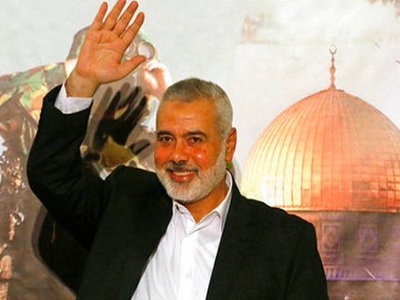 Many Palestinian leaders have recognized the state of Israel, but have refused to recognize it as a Jewish state, claiming that a system which overtly privileges one religious or ethnic group over others cannot be considered a democracy. Meanwhile, a growing number of Palestinians have criticized the two-state solution as unsustainable and unlikely to bring durable peace, proposing instead a bi-national state with equal rights for Israelis and Palestinians. 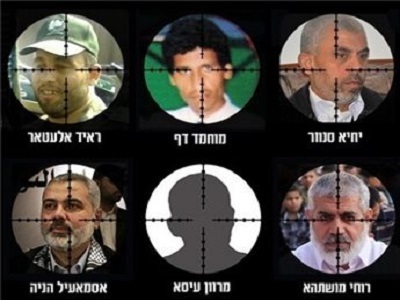 Others still have warned against focusing the debate on reaching a political solution to the Israeli-Palestinian conflict, and have demanded that Palestinians be immediately granted the full set of human rights, including the right to self-determination, independent of arriving at a political settlement based on either a two- or one-state solution.